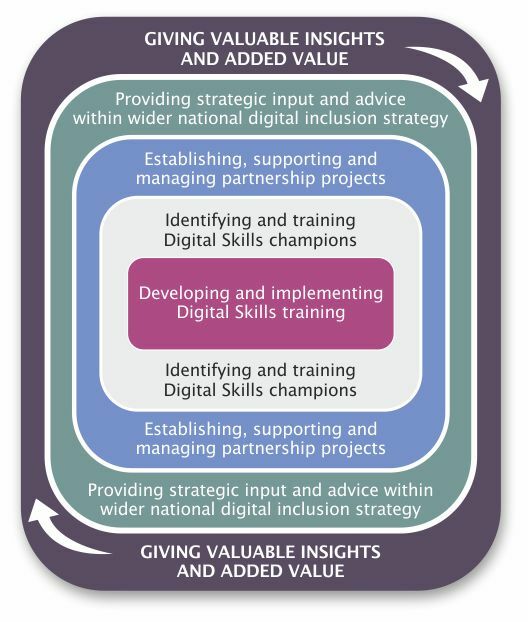 We develop and deliver digital participation programmes which give individuals the skills and confidence to make the most of the benefits of today’s digital technology. We work with local communities and groups, with private sector companies and key public sector organisations such as local authorities, housing associations, health boards and enterprise agencies to ensure that our work is both sustainable and resilient. We provide a bespoke service, tailoring the breadth and depth of support to your own particular requirements. No matter how small or large the project, we always are cognisant of the importance of providing sustainable and cohesive work that will enable effective and long-lasting results. To find out more about how we can help you, please email hello@mhorcollective.com or call us on + 44(0)7456 289363. We are a collective – a team – and our philosophy is that by working together with colleagues, clients and partners, our impact can be much bigger than the sum of our parts.